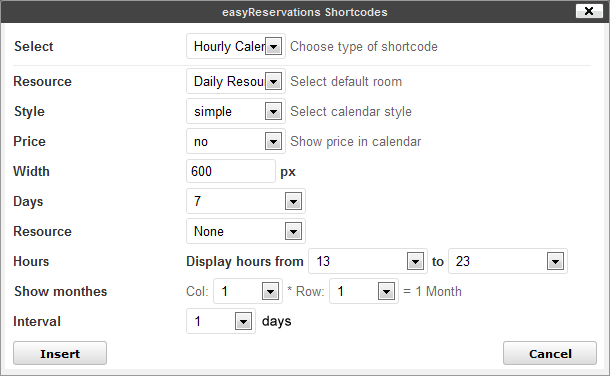 A new shortcode that shows your guests the availability of your resources on a hourly basis. You can define how many days and hours to display. 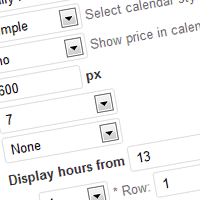 Like the calendar it’s clickable and works together with the forms time and resource selection. The resource can be made selectable within the calendar. In addition it’s fully compatible with the extended calendar module to show multiple hourly calendars by grid. Now with half-hourly mode! The resources selection can be disabled, a select field or a navigation bar. The hourly calendar is very flexible. 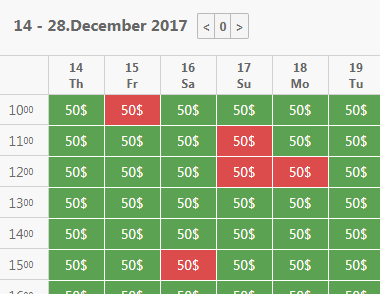 You can select the amount of days and the hours to display.